Home to the largest aperture telescope available to the public in the Chicagoland area, the Adler’s Doane Observatory provides visitors a unique opportunity to see a variety of celestial objects like the Moon, Jupiter, Saturn and more! At Doane at Dusk, guests will enjoy nighttime telescope viewings and related discussions with Adler Astronomers after museum hours. 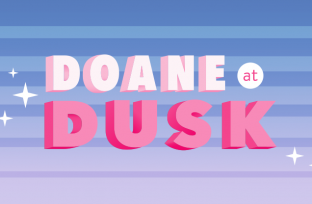 Note: Doane at Dusk is weather permitting; please follow us on Twitter @AdlerPlanet for updates! Also, if capacity issues require, we reserve the right to close the guest line prior to the stated end time of the event so those ahead of that point can get into the Observatory by event’s end. Thank you to our founding donor the Petrovich Family Foundation.